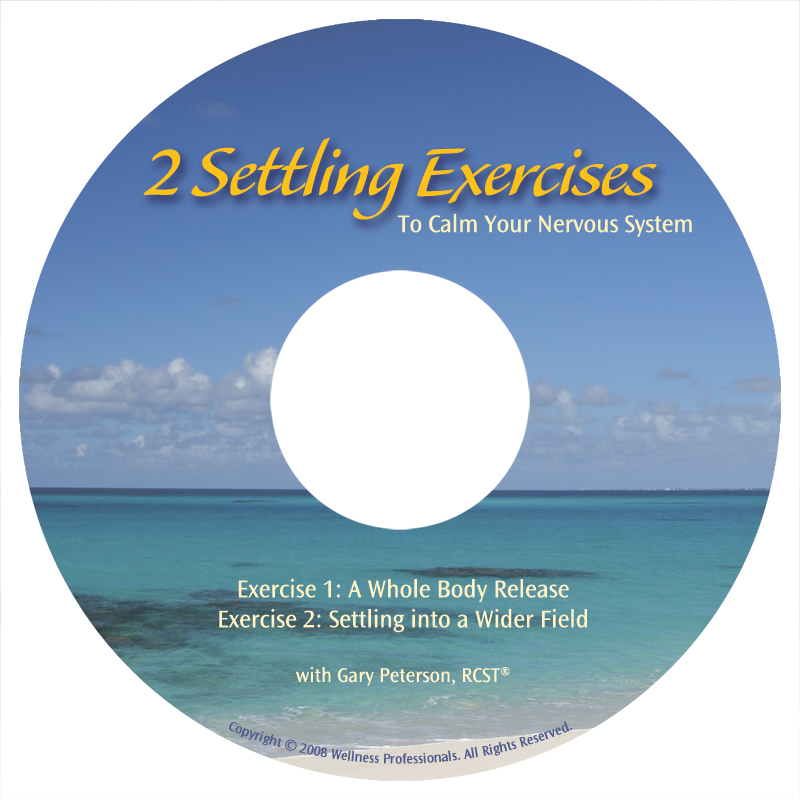 2 Settling Exercises is an instructional MP3 download that gives you 2 step-by-step sequences for settling your nervous system. The first exercise – A WholeBody Release – teaches you how to track subtle sensations throughout your body and helps you to release tension from the bottom of your feet to the top of your head. The second exercise – Settling into a Wider Field – teaches you how to find space and relaxation within yourself by learning how to shift your perceptual awareness. Use this resource at home, in the car, at the office or almost anywhere to find immediate support and experience gratifying results. This is a highly effective asset that many people re-order again and again to give to family and friends. Click Return to Merchant after you complete your purchase with PayPal, then click the Download button on our website. Look for your Order Confirmation email from PayPal, then click on the link in that email in the Download column. Create an account when you check out and note your username and password. Login to your account at any time by clicking on the My Account button, then go to Downloads and access your download there. You may download your MP3 an unlimited number of times.